Overview. This is the less traveled way to Indian Staircase, as most will park at Bison Way and hike from there. We opted to take the long way - parking at the Sheltowee Trace Connector Trail parking lot, making our way north to Indian Staircase and looping back on Bison Way and KY-715. While on the unmarked Indian Staircase Trail, we did a bit of exploring, as there are a multitude of backcountry campsites on the route. Trail Navigation. From the parking lot, head northeast for a half mile on the connector trail. From here, turn north (left) to cross KY-715 and continue on Sheltowee Trace to approximately mile 4. You'll see a well worn trail on your left with a very sharp turn. This is the southern end of Indian Staircase Trail. Continue up to find the rim of the gorge and enjoy the many great views. There are myriad trails that you can take once you've reached the top. A good rule is to keep right and follow the most well worn trail in front of you. Eventually, you'll circle around to see Frog's Head and then on to Indian Staircase. You can scramble down the stairs, but be wary, as it's dangerous to say the least. It's also foolish to attempt this during wet weather. 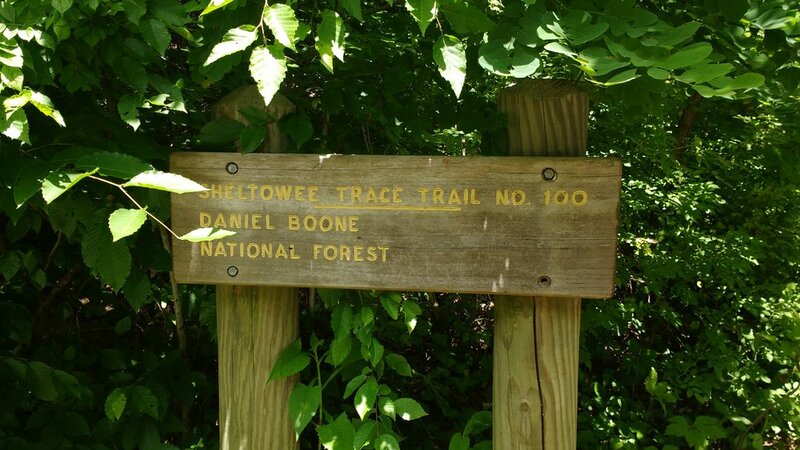 After scrambling down, turn left to continue on Sheltowee Trace. 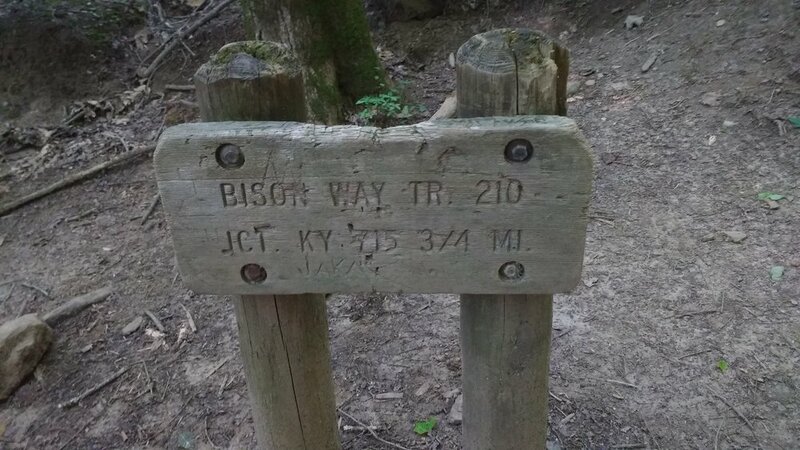 At the junction with Bison Way, turn right (south) and descend to KY-715. It's a short walk from there to the parking lot, but be sure to yield to oncoming cars - particularly at blind curves. CAUTION - OFF TRAIL. While this trail is found on many maps, it is not an official USDA Forest Service trail. As such, do not attempt this hike without adequate map and compass skills. CAUTION - DANGEROUS SCRAMBLE. Indian Staircase is steep and the 'stairs' are heavily worn - a bad combination during inclement weather. Do NOT attempt this scramble unless you are physically and mentally up to the challenge. You can just as easily retrace your steps counterclockwise around the rim for a safer descent. CAUTION - CLIFFS. 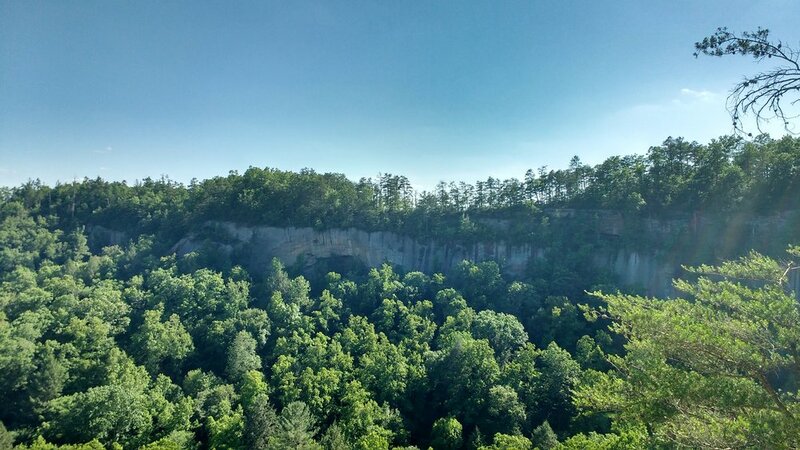 Many have fallen to their deaths from the cliffs found in Red River Gorge. Be sure to stay a safe distance from cliff edges.